The FREE Tena Products Sample Packs are still available to request, Answer two quick questions to get a free trial kit full of information and free samples of TENA products to try out. *This offer is still available! If you do not have an e-mail address, please call 1-800-510-2601 to order your sample kit. 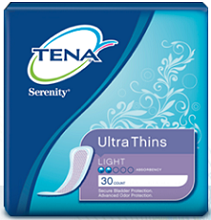 You can request a FREE NEW TENA Overnight Sample Kit Here! You may be able to request this new offer even if you requested the FREE Tena Skin-Caring Wash Cream and FREE Wipes that was posted before. ty so much!! you guys are so awesome! You are receiving this email today because you won a free Oball O-link toy! I just wanted to let you know that you should receive your prize within the next two weeks. i have gotten 5 packages over the span of a few months. these samples are great.